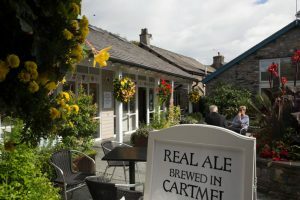 Cartmel Beer - best enjoyed from our sunny terrace! 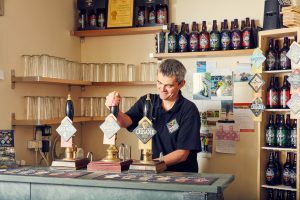 At Greens, we do our very best to, where possible, source locally. 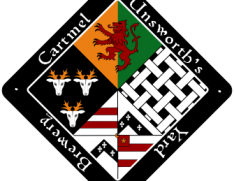 Our delicious range of Cartmel beers, from the Unsworth Brewery, are made in the beautiful and local village of Cartmel and we are delighted to be selling them at Greens. 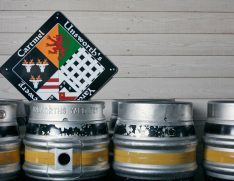 'Cartmel Peninsula', 'Last Wolf', 'The Land of Cartmel' and 'Crusader Gold' are the varieties we have available. 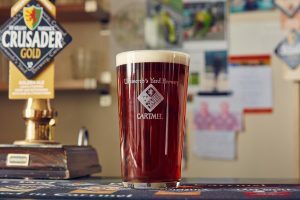 Pop in and we'll pour you a cold one - best enjoyed on our sunny terrace!